I received so many wonderful gifts this past Christmas, but one stands out. Early last year I started watching Cheers on Netflix. Soon my sister started watching and then it became a show my boyfriend and I watched together. We all loved Cheers and being able to share it with our parents. When my sister was home for summer, my parents were finishing their wills and they asked if we wanted any particular possessions. To break the somber tone, I requested mom’s Cheers sweatshirt. Mom bought the sweatshirt at a rest stop on a trip home from Boston in the early 90s. The sweatshirt is dark blue, has a small bleach stain, is incredibly soft, and it was now in my sister’s possession. She wasn’t planning on giving it up. We spent the following months playfully bickering over the sweatshirt. On Christmas Eve, my sister handed me a box. 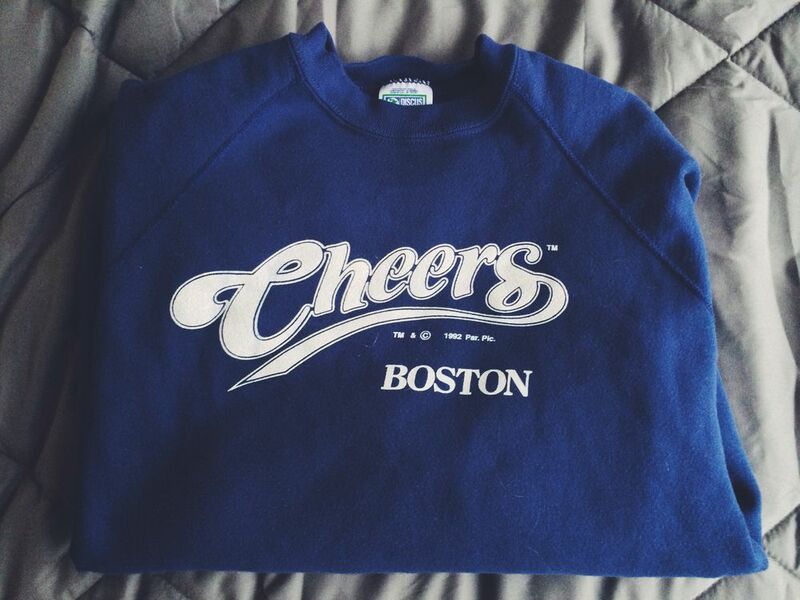 The tag read, “Consider this a truce.” I opened the box and there it was — the Cheers sweatshirt. As I stared at it, I realized that I didn’t want to take it from her. I told her that she shouldn’t have given it to me, but she said she didn’t. She found this one on eBay. I had a nice laugh, but we were all laughing when we found out that mom also got all us Cheers sweatshirts. It was 2013 and I received two Cheers sweatshirts for Christmas.